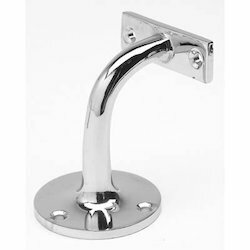 Providing you the best range of steel guardrail, steel bracket, u brackets, handrail bracket and shelf brackets with effective & timely delivery. We are offering our clients with robustly constructed Highway Guardrail that are ideal for use as traffic safety systems in highways. Countering the problem of the high percentage of heavy vehicles on highways, these guardrails are installed to reduce the severity of run-off-road accidents. 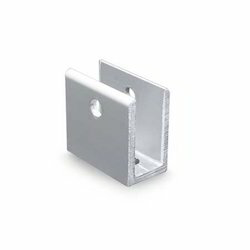 distributing a large range of Steel Bracket. This product is used in various places for its long lasting life and finish. We offer product to the patrons as per the need of the application. Besides these, our offered product is highly demanded in the market for its high grade quality and industry leading prices. Manufacturing a large range of U Brackets. This product is used in various places for its long lasting life and finish. We offer product to the patrons as per the need of the application. Besides these, our offered product is highly demanded in the market for its high grade quality and industry leading prices. 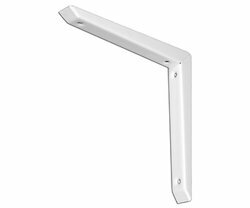 We are offering Hand Roll Bracket to our customers. 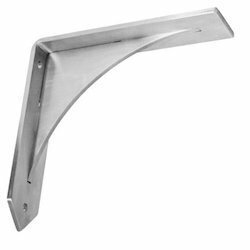 Manufacturing a large range of Shelf Brackets. This product is used in various places for its long lasting life and finish. We offer product to the patrons as per the need of the application. Besides these, our offered product is highly demanded in the market for its high grade quality and industry leading prices.